The only thing entry-level about the DB1 is its price tag. With a robust design and a crisp, precise feel—thanks to its Power Reserve Geometry and increased negative volume—the DB1 punches above its weight. 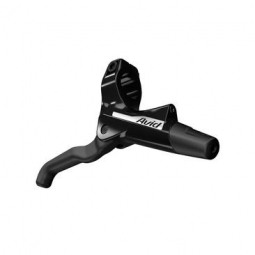 This brake also features a streamlined Flip-Flop lever design with a low-profile, single-bolt clamp for convenience. When it comes to better braking performance, the smart money is on DB1. AVID Frein à Disque Avant Hydraulique DB1 sans Disque Noir clasificado 4.5 de 5 por 14.